Founded in 2000, ecoCard is one of the most preferred brands in the digital wallet industry and offers financial services to millions of customers around the world. In recent years it re-branded itself as ecoPayz and became a principal member of MasterCard, issuing prepaid virtual and plastic ecoCards to its clients. As an established e-wallet service, ecoPayz and its ecoCard are popular among casino players for the convenience and security they offer. The ecoCard e-wallet is one of the most preferred online money transfer methods across Europe, Russia and the Middle East, and it is accepted by almost all web-based gambling providers. It resembles a prepaid virtual debit card and is the ideal solution for gamblers who want to monitor and control their spendings. It is also useful for players who, for some reason, security-related or otherwise, do not wish to use their credit cards at online casinos. The ecoCard digital wallet can be loaded with funds via transfers from bank accounts or credit and debit cards such as Visa, MasterCard, Maestro, Yandex Money, Safety Pay, and more. Users who opt for the plastic ecoCard can use it to make purchases at brick-and-mortar merchants, as well. This payment method is straightforward and fairly easy to use. In order to get the e-wallet, the prepaid ecoCard, or the virtual card by ecoPayz, online users first need to register an ecoAccount. In fact, all three services by the payment processor are usually referred to as ecoPayz or ecoCard by online casinos. Most customers also know the ecoPayz e-wallet by the name ecoCard, which is why for this review, we shall use the same term. Deposits from the ecoCard to online casino accounts are processed immediately and securely, so players can fund their gambling balances within seconds. Using this method for web-based gambling is safe, fast and convenient. This is a standard e-wallet payment method, which can be funded by transferring money from a variety of resources, including credit cards, bank accounts, and services like MoneyGram or Western Union. By choosing the ecoCard, players avoid disclosing personal or financial information, regarding their bank accounts or credit cards. Registering an account at the official ecoPayz website is necessary for obtaining an ecoCard. The process is easy and straightforward and free of charge. When the e-wallet is activated, it should be linked with a credit card and topped up before use. 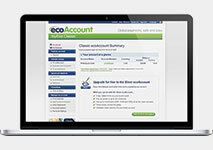 Signing up for ecoCard is very easy at the official ecoPayz website. Along with personal information such as a name, date of birth, and address, the user is asked to provide a valid email address. Choosing a password and a preferred currency should be your next step. A large number of currencies are available, including major ones such as USD, EUR, GBP, AUD, NZD, BRL, CHF, SEK, NOK, DKK, RUB, HKD, INR, JPY, CNY, and many others. The service will send you an email with your ecoCard number and User ID, prompting you to activate your account. Once it is activated, it needs to be linked with a payment method, which will be used for funding the newly registered ecoCard. You can top up your account using Visa, Neosurf, Klarna, Giropay, INSTADEBIT, Paysafe, POLi, Trustly, and more. User accounts come in five different levels – you can open a free Classic ecoPayz account and then upgrade it to Silver level by supplying proof of address and identity such as a copy of your passport, ID or driving license. After a short verification process, your basic account will be upgraded and you will be able to hold up to 10 currency accounts within your basic one. You can also upgrade to Gold, Platinum and VIP account. When making deposits to your ecoCard, you may be charged fees by your banking or financial institution. Typically, transactions via credit cards are charged 2.9%, while Electronic Fund Transfers are charged 4.9%. 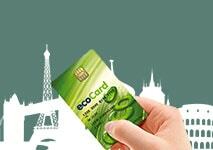 Another payment option offered by ecoPayz is the prepaid plastic ecoCard, available to users of all 31 EU/EEA states. Only customers with Silver Level ecoAccount or above can apply for these prepaid cards. They can receive up to three cards in three currencies only – EUR, GBP, and USD. The prepaid ecoCards function like debit cards – you load them with funds, using various payment services, and then you can use them in ATMs, brick-and-mortar shops, as well as online stores and casinos. Usually, there is no card issuing fee, but there may be some exceptions, depending on the country of residence of individuals. All other limits and fees depend on the user’s account level. Although the company has named this specific service Prepaid ecoCard, it is much more than just a prepaid card. It can be used for withdrawing your winnings from web-based casinos, which in other cases would be impossible for other prepaid cards or vouchers. 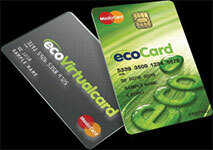 The ecoPayz service offers its customers a one-use payment option called ecoVirtualcard. It can be used for online purchases and it is even more secure – once used, it is no longer valid, so it cannot be stolen. The ecoVirtualcard is available in three currencies – USD, EUR, and GBP. The cost for issuing is $2.30, while the currency conversion fee is 2.99%. There are no transaction processing fees and no minimum single transaction limits. The one-use ecoVirtualcard is offered in four tiers – Silver, Gold, Platinum, and VIP, with different limits for a maximum single transaction. However, it is available in Single Euro Payment Area (SEPA) countries only. The greatest thing about this option is that players who sign up for it can remain absolutely anonymous over the web. Of course, they need to provide the casino with their personal details, but the deposit itself will be extra secure – no banking or credit card data will be required. Along with other digital wallets, ecoCards are popular for making deposits to online casino balances because they are instant and offer great protection. In order to make a deposit, online casino players need to log into their accounts and visit the Banking or Cashier Section at the gambling site. Then, from the list of available deposit options, you need to choose ecoCard, or alternatively, ecoPayz, and enter the amount of funds you wish to deposit into your casino balance. For this, you will be required to fill in your ecoCard ID and password, without any additional information about your credit cards. The second you confirm the transaction, you are ready to play for real money. Whether you use the e-wallet, the plastic or the virtual card by ecoPayz, your personal details remain private. The service does not share your name, address, phone number or credit card information with anyone on the web. The payment processor ecoPayz also provides a great alternative to credit cards, bank transfers, and other services when it comes to cashing out from an online casino. Often, this is a slow, demanding and cumbersome process, in which the casino operator needs to verify your identity before sending a payout. Withdrawals are usually pending for 24-48 hours and it is only after this period the transaction can be processed. With ecoCards and the ecoPayz digital wallet, you do not have to wait an additional amount of time – once the verification and pending period are over, you will receive your casino winnings within a few hours. In some cases, the processing time may be a bit longer (up to 24 hours) but it will still be faster than cashing out via a credit card (3 to 5 business days). The virtual cards by ecoPayz cannot be used for casino withdrawals – only the plastic ecoCard and the ecoAccount (the e-wallet) are available. You may find them in casino cashier pages as either ecoCard or ecoPayz as both brands are used. Of course, you should also consider the way you will get the funds from your ecoPayz account. When using the ecoCard payment option, online casino players can withdraw their winnings from their balance only via wire transfers. For this, they need to link their bank account with the ecoCard e-wallet. When you visit the Withdrawal section at your ecoCard account, you can also choose a bank check. It is available to Italy and UK-based residents, however, and the fee is $25. Processing withdrawals usually takes up to 3 business days and banking fees may apply. The ecoCard payment method is preferred by many online gamblers because there are no monthly or annual fees. However, deposits via credit cards are charged 2.9% per transaction. There is also a withdrawal fee when transferring funds from your ecoCard to your bank account. It would range from $6 to $10.61, depending on the service tier you choose – Silver, Gold, Platinum, and VIP. Classic account holders cannot make withdrawals to bank accounts. Still, transactions to and from your casino account are processed for free. There may also be a 4% Cash Services fee – it includes Financial institution (banks) services; Forex, Money order, travellers’ checks; security brokers and dealers (stocks and shares); gaming and lottery. Whenever you use ecoPayz services in a different currency than the one registered, there is a currency conversion fee of 2.99% of the transaction. The ecoVirtualcard also comes with a few fees – there is a $2.30 fixed fee for issuing and activation, 4% Cash Services fee, and once again, currencies are exchanged at a fee of 2.99% of each transaction amount. Deposits and withdrawals from online casinos, on the other hand, are free of charge. In addition to the various fees, players need to take the many limits of ecoPayz into consideration when signing up for this service. Casino patrons who register for the most basic ecoPayz product, the Classic level ecoAccount, will have to settle for the total limit of their account of only €2,500 or $2,924.16. This includes all activity – deposits, transfers and withdrawals cumulatively, which might be quite inconvenient for many casino enthusiasts. This is why upgrading your ecoPayz account is recommended – it is free of charge, yet even the Silver status provides you with an unlimited amount of transactions. Your account balance will be at least $17,500 and you can top it up with as little as $11.70 per transfer. Casino players who opt for the plastic ecoCard can deposit to their gaming accounts up to $1,000 per transaction (or up to $2,500 if they are above Silver level). The limit for casino withdrawals is the same. Those who choose the ecoVirtualcard will be able to make up to three transactions of $700 maximum per day, whether these are deposits or withdrawals from the casino. If you opt for the plastic ecoCard, registration and activation is free, but cash withdrawals are charged 2%, with the minimum fee being $1.5. There is no deposit limit when users transfer funds to their ecoCard accounts. 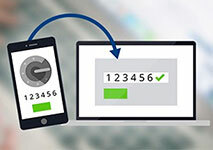 As a well-established e-wallet service, ecoCard provides its customers with high levels of protection. Due to the use of SSL and TLS protocols, all transactions are automatically encrypted from the browser to the ecoPayz website. So any sensitive information is kept private and secure. Casino players who choose this service as their main payment method at gaming sites can rest assured their personal details will not be exposed online. The system of ecoPayz has an additional layer of protection against viruses, malware and attacks from hackers. Players can also set up a 2-step verification after logging into their ecoAccount and opening the Settings section. The service employs the latest security and anti-fraud technologies and complies with the Payment Card Industry and Data Security Standards (PCI and DSS). It is authorized and regulated by the Financial Conduct Authority. There are dozens of payment methods offered at online casinos and it is essential that you choose a safe, reliable and fast service. Moreover, personal preference is a huge factor in deciding how to fund your gaming balance or how to receive your winnings. For many players, ecoCard is a convenient and problem-free deposit method, as it is accepted in 160 countries and it supports 47 different currencies. Deposits are processed immediately and securely, without the need for disclosing any sensitive information. Another indisputable advantage of ecoPayz and its products is the fact that they are user-friendly and available in various languages. You can top up your ecoAccount using not only globally accepted payment services like Visa or Paysafe but also a wide variety of local options like Przelewy24, Yandex Money, Tencent’s QQ Pay, etc. In addition, you can deposit and withdraw via ecoPayz directly from your mobile device – its website is fully mobile compatible and opens on any Android or iOS devices. Due to the strict regulations regarding online gambling and gambling-related financial transactions in the United States, ecoCard is not available to players in the US. Another thing to consider is that bank check withdrawals are available to users, based in Italy and the United Kingdom only. Of course, there are certain fees and limits casino players should also take into account before signing up for this service. Still, deposits and withdrawals using ecoPayz are free of charge. In comparison, transfers via credit cards, for instance, usually come with a 2.5% fee or even more. It is also important to check whether the online casino charges processing fees for deposits and withdrawals. 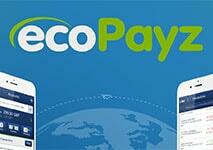 In 2009 ecoPayz was the first financial institution that launched a mobile app. Today it is available to both iPhone and Android users. As a third-party online payment processor, ecoCard allows for funding transfers at online casinos without the risk of disclosing personal information when making a payment. The instant deposits and the relatively quick withdrawals also make the e-wallet widely preferred. The ecoCard payment option is accepted in hundreds of online casinos and in thousands of on and offline stores, as well. Compared to many other services ecoPayz and ecoCard are available almost everywhere and casino players based in various countries can use them in their own language and national currency. It should be noted that along with the popular e-wallet by ecoPayz, the company offers a plastic debit card-like product and a virtual prepaid voucher. The solid reputation of the service is certainly a great sign for reliability – using it dramatically reduces the possibility of your personal information being exposed or stolen. The company is an accredited member of prestigious financial associations such as the Prepaid International Forum. It is also compliant with the requirements and standards of the Payment Card Industry and the Data Security Standards. Still, casino players should be careful when choosing the specific ecoPayz product, as they are quite different from each other. The one-time virtual card, for instance, cannot be used for cashing out, while at the same time, it offers full anonymity.